Installing a new deck is a pain in the you-the-know-what. It always takes longer than it feels like it should, and the hours spent crouched over a screw gun can seem endless. 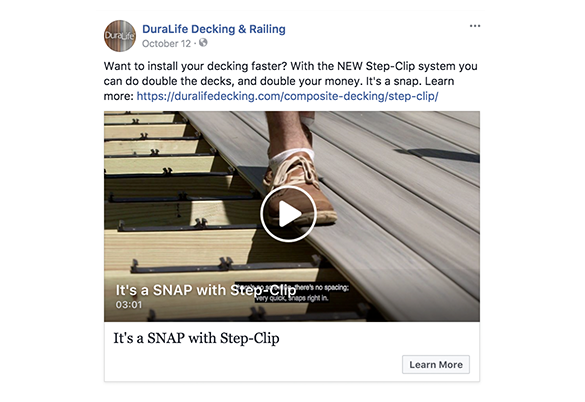 DuraLife Decking and Railing (makers of beautiful and durable composite decking) decided that it shouldn’t have to be that way. Enter: Step-Clip. 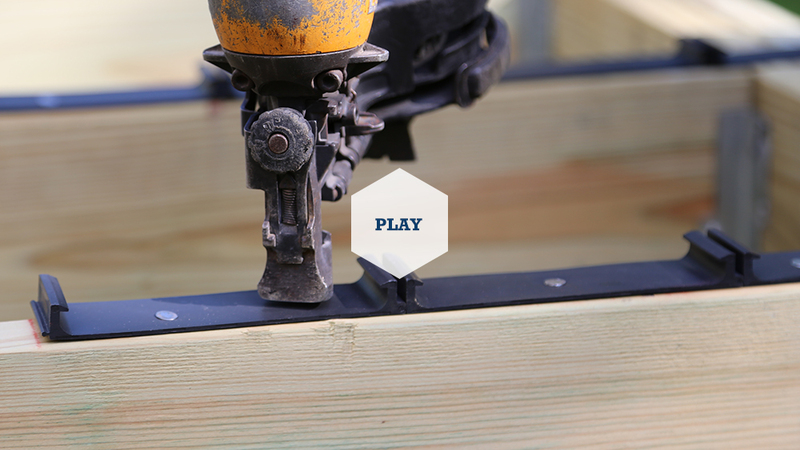 A decking installation system that snaps into place with (literally) a simple step. Double the Decks. Double your Money. 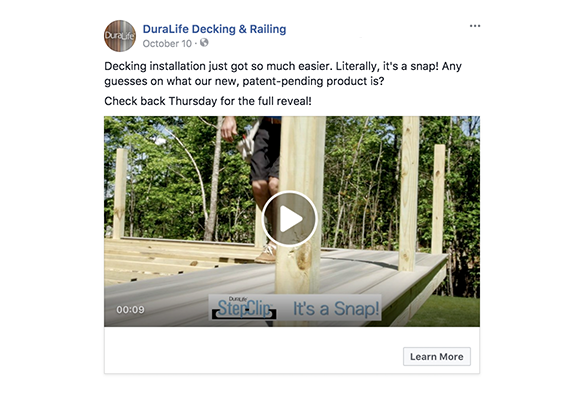 DuraLife came to us with their brilliant idea and tasked us with getting the word out, particularly among contractors who install dozens of decks a year. First, we staged a “decking duel” to find out just how much faster the Step-Clip system was to install. Then, we created an ad campaign for contractors, highlighting the fact that with quicker install times they could build more decks, and more decks = more money. The next big thing in decking. 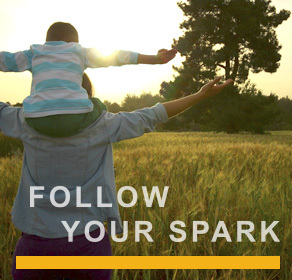 We launched the Step-Clip system on social media, targeting contractors and lumber yard retailers with videos, photos, and free sample offers. The response was incredible with more than 200k people reached, over 50k video views, and 2k likes, comments and shares. One simple step for contractors – one giant step for the decking industry. The announcement of the Step-Clip system at the Deck Expo in Nashville was kind of a big deal – so we pitched it to a bunch of industry media who were excited to get their hands on it and spread the word. 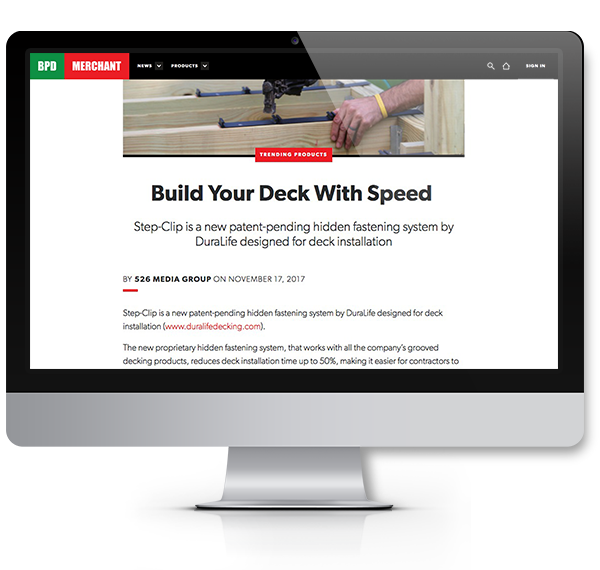 From Building Products Digest’s “Trending Products” to the LBM Journal and Professional Deck Builder, Step-Clip garnered more than 290,000 industry insider impressions in less than a month. The result? A giant step in the right direction.